"How much longer do I have to keep this up?” thought Cecelia, sitting on her faithful horse, Blaze. She was in a royal parade to show the common people that the royal family did care for them. And they did. The kingdom of Andria was a very happy kingdom, everyone had enough to eat, there had been no war for over 50 years, and every family had just enough money to live comfortably. Except, of course, the royal family, who lived luxuriously in a massive castle with 200 servants, 40 cooks, 50 chefs (Yes, cooks and chefs are two different things.) 30 stable boys, and other people who worked in the castle. All these workers were paid with land, food, protection, (Even though there had been no invasions and wars for over 50 years.) and some money by the good old King Basil, ruler of Andria. King Basil was married to Queen Wilhelmina, the wise, kind Queen who was originally from the kingdom of Zillabeth. They had 8 children, 6 daughters and 2 sons. The eldest was Prince Caleb, who was a younger version of his father Prince Caleb was 21 years old, and would inherit the kingdom someday. Then there was Primrose, whose name fitted her. She was very prim and proper, but she was as pretty and delicate as a rose. Then there was Hilda, who adored cats and kept five of them. And the triplets, Blythe, Bridget, and Cassandra, who all loved to dance. And then there was Prince Cyril, who was a studious boring boy. And last but not least, there was Cecelia, or, more formally, Princess Cecelia Marta of Andria. But she preferred the name Celia. Celia was different. She didn’t really care about crowns and dresses like her sisters. In fact, her number one priority was horses. Right now, she was riding her favorite horse in the whole wide kingdom, Blaze. Celia had rescued Blaze from the butcher when she went to the horse auction disguised as a commoner. There had been plenty other horses, but Blaze got her eye and her heart. He wasn’t much to look at, at first. He was covered in dirt and his mane was all tangled. He was so dirty he looked like he was black. She firmly decided to buy him. She heard the auctioneer say his number. She raised her hand “10 bronze bits!” she exclaimed. “I hear 10 bronze bits, does anyone give 20 bronze bits for this lovely animal?” the auctioneer said, laughing. A fat man with stains on his shirt raised his hand “15 bronze bits!” he said gruffly with a smirk on his face. Celia’s face turned ghost white. That was the butcher! That was when she forgot. She was a princess. A rich princess. She could easily jack up the price so high the butcher wouldn’t buy him. The auctioneer couldn’t believe his ears. He wanted to make sure the girl wasn’t lying. “Let me see the money, girly, and then he will be sold to you.” Celia fumbled with her purse, and brought out the five gold coins. The auctioneer eyes twinkled. “Sold! To the little lady in the front!” He grabbed the coins with his grubby fingers with a laugh and put it in his money box. Celia looked at the horse she just bought. Although he looked like he had been drug through the swamp and dipped in the royal stables manure pile, His eyes were warm and friendly, and he managed to nicker through all the filth when she approached him. She hastily took her new horse, which had a rope around his neck, and headed toward the river. There, managed to get some filth off, but it was so deeply encrusted that she had to lead him to the castle to wash him properly. When she entered the stable area, she was greeted by Ahern, the stable boy and her best friend. “What’s this? A moving manure pile?” he laughed, but stopped when he saw Celia’s serious face. “If I didn’t buy him, the butcher would have. Besides, something about him drew me to him.” Ahern looked at the horse “Well, it definitely wasn’t his smell. Let’s get to work, shall we, Celia?” And the two went and washed him. When they were all done, they couldn’t believe their eyes. 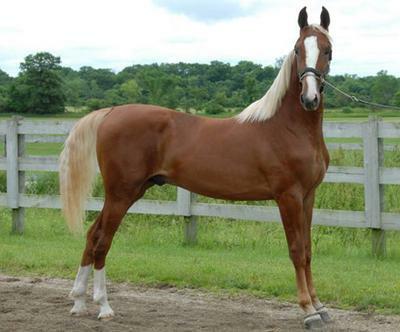 The sorry mop of a horse turned into a beautiful golden chestnut stallion with a white blaze on his face. The sun was shining on him and added to his brilliance. “He’s the most beautiful horse in all of Andria!” exclaimed Celia, looking at Ahern. She then burst out laughing. Ahern was covered head to toe in all the muck from the horse. “What’s so funny?” he asked, turning his gaze from the horse to Celia, and immediately burst out laughing. Celia looked down; she too, was covered in muck. “Come, Giggles, let’s put him in a stall and go wash up in the river real quick. After taking a quick dip in the river to wash their clothes off, the two went and got fresh clothes. Celia chose another one of her common dresses she wore when she was with horses. It was soft material that wasn't itchy. It wasn't very pretty, but Celia didn't care. Ahern was dressed in normal stable boy attire. Tan breeches. White shirt. Tan over top, and black buckle shoes. His look was completed with worn tan gloves. “Ready to go situate the horse?” he asked, when they got outside. Cecilia didn't answer and started running to the stable. “Hey! Wait for me!” yelled Ahern, running after her. They arrived breathless at the stable. Celia wanted to make sure the horse wasn't a dream. She looked in the stable, and sigh with relief when a handsome golden chestnut head popped out of one of the stalls, nickering to her like he was greeting her to his humble abode. “Well,” said Ahern, finally catching his breath “He sure was worth all that trouble. How much did you pay for him?” Celia told him like it was of no great importance. Ahern whistled “5 gold bits! You could have bought 5 good horses with that money! But this horse here,” he gestured to the chestnut “I say he is worth that much. He looks like he is an Angelo- Arabian. He looks like a great racer. Too bad you can’t race him, officially.” He added the last part hastily, as Celia glared at him. Ahern was right, though. Only boys and men were allowed to race horses in fairs and the annual Gold Leaf Championship held every year in front of the castle. Women and girls, however, could participate in unofficial races, like the races Celia had with Ahern and the stable boys every month. She usually rode either Rosy, the strawberry roan mare, or Ben, the mouse gray gelding Caleb rode. Once she rode Chessie, a young filly with a fast pace. She rode in 5 of the races and won 4 of them since she started. She lost only once when she first raced to Ahern riding his bay gelding, Jay. Poor old Jay, he accidently ate some poisonous plant and got colic. He didn't survive despite Ahern’s gentle care. Ahern grieved for awhile, and then realized he needed to get another horse to get to work, since he lived a few miles away from the castle and it took long to get there on foot. Celia felt sorry for him when his horse died, and went to look for a horse for him. She found one named Charger, a fast dapple gray stallion mix of Arabian and draft horse. She bought him and presented him to Ahern, who loved him on the spot. Ever since then, Ahern and Celia were the best of friends. Charger was still alive and the father of many prize-winning foals. “Well, I still like him, no matter if I can race him officially or not.” Celia declared, petting the him on the face. “He’s needs a name. What about Stinky? Or maybe Swamp.” Ahern said, laughing. Celia rolled her eyes “No his name will be…. Blaze. Yes, Blaze.” She said, letting the name sink in. Ahern looked at the brilliant golden chestnut coat. “Blaze. Hmm, that’s suits him, because his coat and that marking on his head. Let’s bring him out for closer inspection.” “Wait a moment.” Celia said, and before Ahern could say anything, she rushed pass him and headed into the tack room. After a few minutes, she returned with a polished halter and lead rope. “It will fit him, for now.” She said, slipping it on Blaze’s head. She opened the stall door and let him out, and Ahern inspected him. “Hmm, his teeth are nice; he is probably around 3 or 4 years old. His hoofs need cleaning, and, wait, what’s that! ?” he said, looking at Blaze’s hooves. “What?” asked Celia, holding unto the lead rope. Ahern gazed at what seemed to be Blaze’s hoof. “Celia, either I am losing my sight at the age 13, or I am going crazy at the age 13. There is a star on Blaze’s pastern! A white star!” Celia stared at Ahern. “You’re joking, right? !” Ahern shook his head “No, it’s crystal clear, here, take a look yourself.” Ahern stood up and took the lead from Celia’s hand. Celia bent down and looked at the area above the hoof. Sure enough a clear marking of a star with 4 points was on there. “Wow! Amazing! Utterly unbelievable!” Celia said, staring at the star. “He definitely is unique.” She said looking up to Blaze. He looked down at her, and there seem to be a twinkle in his eyes. Celia wasn’t looking where she was going, and she bumped Blaze into Primrose’s horse, Valiant. “Watch where you’re going, Cecelia!” Primrose exclaimed. That took Celia back to reality. “Sorry.” She said, as she got back in her place in the parade. She got Blaze 2 years ago, and since that time they really formed a special bond. He also fathered 2 new foals in the time, Comet, a living likeness of his dad, and an unborn foal. The mother of both of these foals was Fiona, another horse Celia ‘rescued’ from certain doom. Fiona was a pretty light gray Thoroughbred mare who Celia found limping aimlessly around the Andria Woods, a large forest which was very mysterious. Most people got lost in it, but Celia had Blaze with her, and he never seemed to get lost in it. The young mare had a bad wound on her leg, which Celia thought was caused by a wolf. She led the mare home, and doctored her wound. She healed almost perfectly, except with a slight limp. Celia wouldn’t be able to ride her, though. But she didn’t care; she loved the mare all the same. For some reason, Blaze took a special liking to the mare, and eventually they had Comet and soon to be baby foal. Celia was day-dreaming about the unborn foal. She was imagining a pretty black filly standing by her mother, back straight, ears erect, but then Celia decided that the filly was too still, and imagined a lively bay colt frolicking around the pasture. “Cecelia! Pay attention!” Primrose’s sharp voice said irritability. Celia realized she bumped into Primrose’s horse again, so she decided to pay attention till the end. “Free at last!” Celia said when they reached the end of the parade. She went up to her parents “Can I...” “May I, Cecelia, May I.” corrected Queen Wilhelmina. Celia stopped an eye roll from coming “May I go and ride with Ahern in the Forest, now?” Her mother shot a disapproving look at her “In that dress?” Celia glanced down. She was wearing a light green dress with pale orange roses at the hip. Her 5th best crown was on her head. “I brought along my riding habit and Francis is bringing my real saddle.” Blaze had a side saddle on, and it hurt Celia very much to ride her horse with it. “I don’t know. What if you get lost in the woods? And you should be spending time with young nobles, not stable boys. You are 14 years old.” Her mother said. “Oh, let her go, Wilhelmina. It won’t hurt her.” said a voice behind them. Celia turned around and ran to hug her father. “Thank you, Father.” And she raced off to unsaddle Blaze. King Basil looked back at Celia climbing unto Blaze. “She still has a few more years to go until then, so let her have her fun now while she can.” The two parents watch Celia as she galloped off into the forest, unaware of what was going to happen.